Have an adventure and visit where few have gone before! 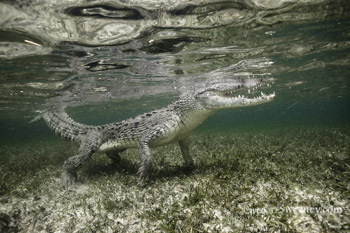 The endangered American crocodile is found in the remote and pristine Chinchorro Atoll. 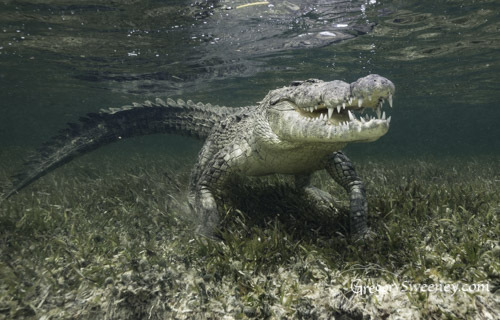 Chinchorro Atoll (Banco Chinchorro Biosphere Reserve) is the best place in the world to get close to American crocodiles. This is a safe encounter with guides who have done years of experimentation and careful planning to make this safe. 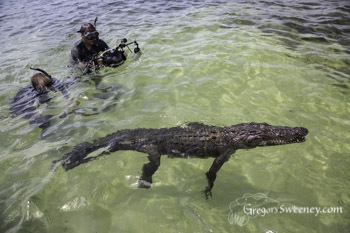 In addition to three days of crocodile encounters, we will also have the opportunity to enjoy some diving on excellent reefs in the shallows and some deep walls covered in healthy sponges and large stands of black coral. 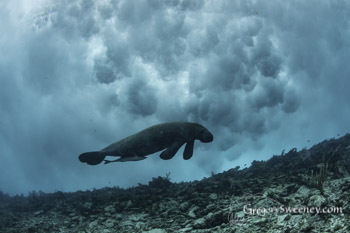 Sometimes manatees are spotted on these reefs. Guests can also join us to spend 5 nights on Isla Mujeres in order to experience the whale shark aggregation and maybe jump in with some Giant Mantas. We will have our own chartered boat and go out for full days on the water. Encounters: 3 days at the remote Chinchorro Atoll with crocodiles plus 2 days reef diving at Xcalak provided by XTC Dive Center. Scuba and snorkeling. The this is proceeded by 4 days and 5 nights at Isla Mujeres swimming with whale sharks on our own private charter. 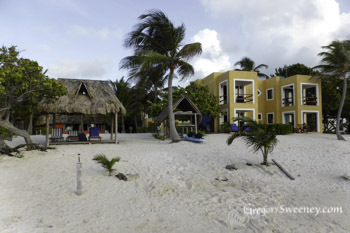 Guests should arrange to fly into Cancun airport (CUN)on July 19th in the morning or mid afternoon (or on July 18st) then make their way via taxi and ferry to Isla Mujeres and check into hotel. 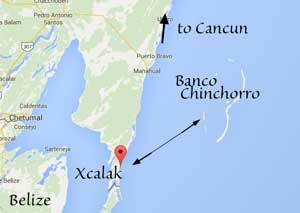 On the 24th we will transfer together back to Cancun in the morning and meet our driver for our transfer down to Xcalak. On the 30th we will transfer back to Cancun (drop off point to be determined later) with an arrival in the mid afternoon. Some guests who are doing whale sharks after will be able to transfer to Isla Mujeres that afternoon. The Banco Chinchorro Biosphere Reserve is the largest stand – alone reef in the Northern hemisphere and one of the healthiest. Currently only 1,928 hectares of the 144k hectares are zoned for diving and fewer than one thousand divers get to see these remote and unspoiled dive sites per year. 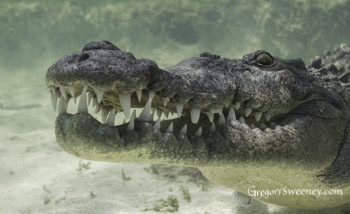 It teems with fish and other sea life, and contains more than 100 shipwrecks as well s the largest and purest population of American crocodiles found in the Americas. 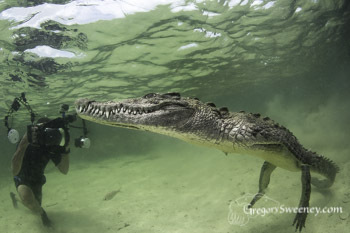 XTC Dive Center is our outfitters and guides in Xcalak and was the first operator to organize American crocodile encounters in Chinchorro. They remain the only dive operator with an official concession. They are committed to sustainable tourism and conservation with safety for the wildlife and humans. 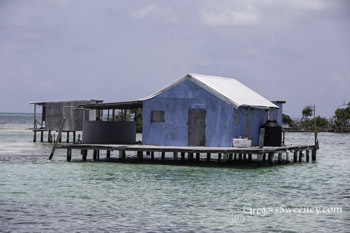 On the Chinchorro Banks, we stay in utilitarian fishing shacks over the water on stilts: 36 nautical miles across from Xcalak. (2 -4 hours boat ride). We bring a generator with us so we can charge camera gear and have a little light. We bring all the food and water we will need. There will be 3 sessions with the crocs and the morning dives on the reef. We stay 2 nights at the fishing huts, sleeping in hammocks at night. 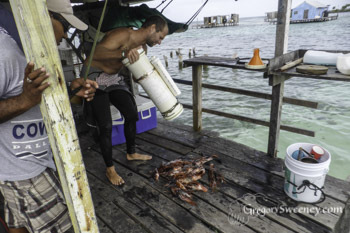 Each morning we do dives to hunt lionfish. There is a duo purpose in this – to help eliminate the invasive lionfish population and to get food to attract the crocs. The Banco Chinchorro Biosphere has pristine reefs and is a protected marine reserve. The diving at Xcalak before and after your expedition to Chinchorro is reef diving at its best. 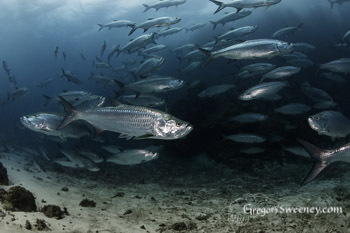 A favourite dive is to the daytime resting place for dozens of tarpon. 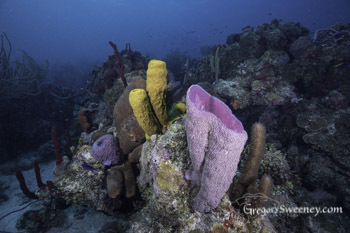 The reefs are full of colorful sponges, soft corals, fish, and we even saw manatees. You will have an adventure in a place few people have been. The fishermans’ hunts have no wifi, cell phone, or mobile service. It is a remote shack surrounded by 700 American crocodiles and a few fishermen. Guests sleep in hammocks and food that is packed out with us is prepared and cooked by our boat captains. 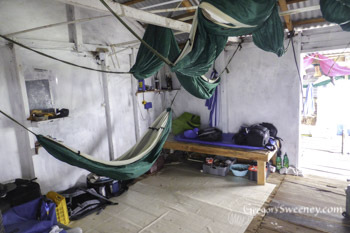 All fishing huts are shared and we sleep in hammocks. A single room is available while we stay in Xcalak at a different hotel: it is an extra $700 per room for the 5 nights.